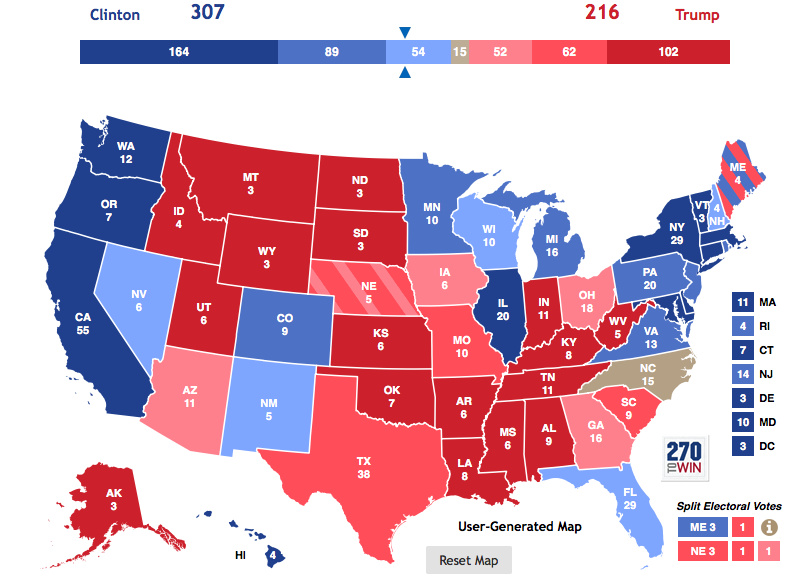 Every week, the Objective News Report will post its weekly electoral college prediction for the 2016 Presidential Election. We use 270towin.com to build our maps. 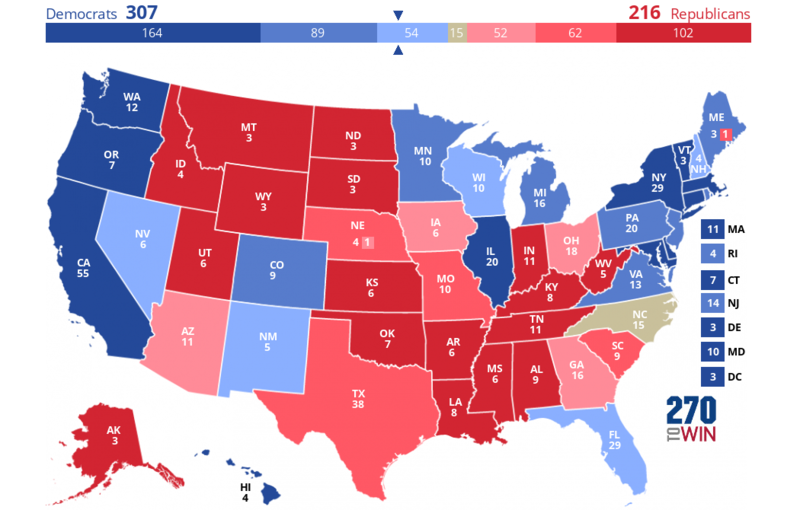 The prediction is based on a combination of factors including the most recent polls, state demographics, and historical voting trends. Here is our prediction for the week of October 4th, 2016.